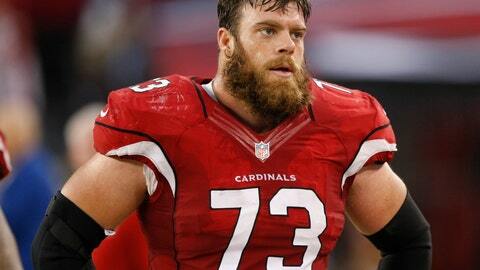 Now that Eric Winston is no longer playing pro football, he’s not exactly soaking up the rays in some exotic locale. He’s preparing for the rest of his life by attending the Wharton School of Business at the University of Pennsylvania, while also handling a myriad of duties as president of the NFL players’ union. Yes, Winston, 34, has the funds to make an easier transition from the football field to the field of business after a 12-year NFL career. Many of his peers do, too. Thanks to The Trust, though, the opportunity is there for nearly anyone who had at least two accredited seasons of NFL service to return to school to complete their degrees, or to pursue advanced degrees such as Winston is doing, or to attend a trade school. More than 1,500 scholarships worth more than $12.2 million have been awarded through The Trust, which will reach its fifth anniversary next month. Last spring, 115 former players used the scholarship program, and 87 more did in the summer. While the back-to-school portion of The Trust that developed out of the 2011 labor agreement following a lengthy lockout is important, Winston stressed how much more there is to the program. “The longer you play, the less applicable you feel to transition into something outside,” he says. “You’ve been so long out of the typical workforce, if you will, and you see a lot of college buddies who are pretty well down the span of their life in their careers. And you think to yourself, ‘How are you going to catch up?’ It’s sort of a daunting task. Another step in that process is the use of former players who have made that transition. Anthony Becht, who played 11 seasons as a tight end, is one of those “captains” who serve as mentors. Becht currently is an analyst for ESPN’s college football telecasts and also did preseason games for the New York Jets. He sees his role as an educator — letting men who have left the league know about the benefits The Trust provides — and as a sounding board. —Brain and Body: The Trust has partnered with the University of North Carolina Brain and Body Health Program; Tulane’s Institute of Sports Medicine; the Cleveland Clinic and its locations in Ohio, Florida, Nevada and at the Hoag Institute of Neuroscience in California; and the Massachusetts General Hospital Brain and Body Program. —Careers: The Trust has partnered with AthLife, Babson College, and Lee Hecht Harrison. —Education: A partnership with AthLife. —Lifestyle: Partnerships with EXOS and the YMCA. —Financial: Partnerships with Financial Finesse and Hillard Heintze. To Becht, there is a boots to the ground element because The Trust is relatively new, and getting out the word that it not only exists but can be so helpful to former players is paramount. This isn’t some club for those men to join, it’s a benefit they have earned similar to a pension. He believes a majority of the eligible former players don’t know about The Trust, or there has been confusion about what is available and what is not. “Whether you have money saved or have done successful stuff off the field or kind of played several years and made decent money, whatever your angle may be — even for guys who never saved anything — everyone will go through a withdrawal period,” Becht says. “How do you turn the page and get your life on a new schedule?